Urban sketchers from all over London, and much further afield, met in Covent Garden earlier this month for Moleskine City Stories. It was great to meet so many people and draw with them on the day. Adebanji Alade, Olha Pryymak, Andrea Joseph and I took part in learning sessions with groups in the streets and squares around the neighbourhood. There was a lot of drawing going on! the Huffington Post, the Flaneur magazine and the Moleskine website. 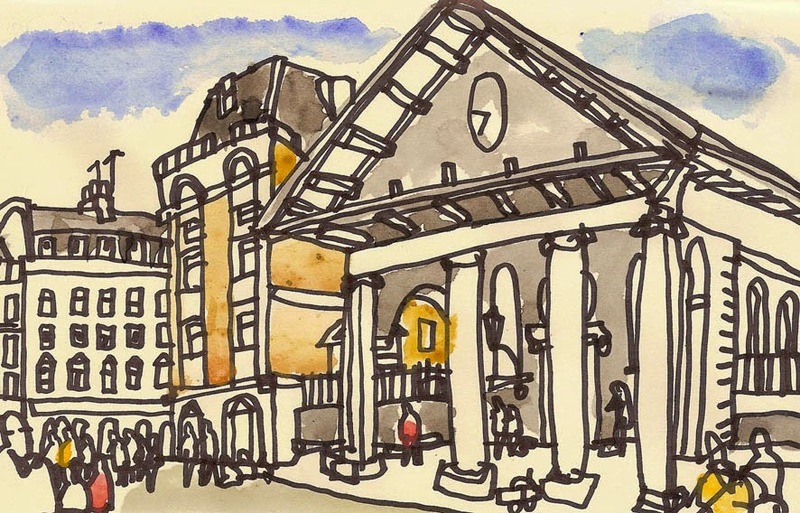 On Saturday 6 September 2014, Urban Sketchers are going to be drawing around the streets of Covent Garden as part of the "live sketch event" Moleskine City Stories. 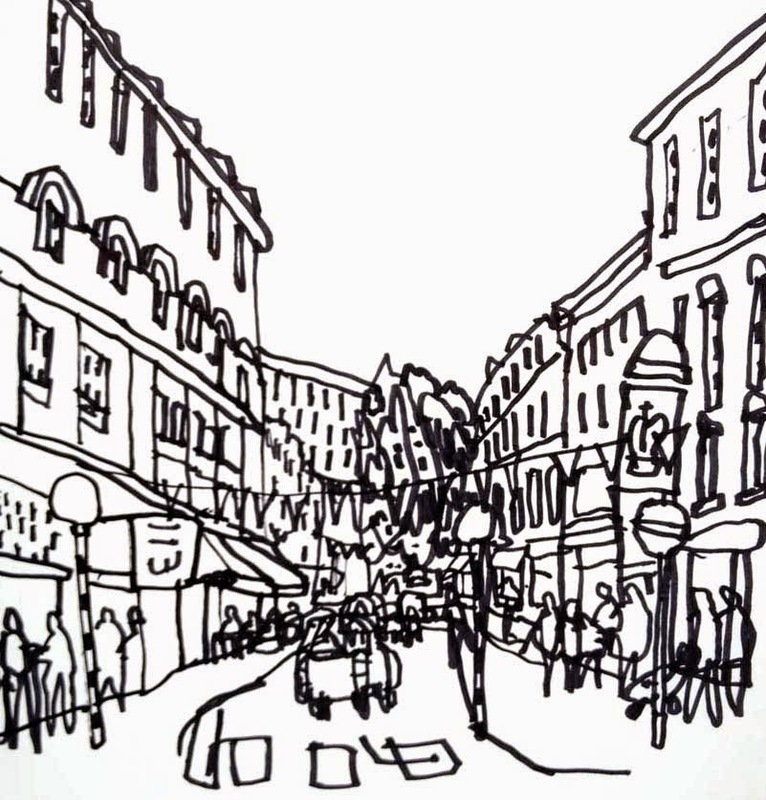 This day-long celebration of urban sketching focuses on the Moleskine store on King Street – where Adebanji Alade and Olha Pryymak will be in action – while Andrea Joseph and James Hobbs will be at London Graphic Centre, Shelton Street, close to Seven Dials. They, along with other London Urban Sketchers, will be drawing in and around the stores and happy to talk about urban sketching from 11.30am to 5.30pm. During the day each store will build an exhibition of the drawings done by those who come. Interested? There's a lot more information about learning sessions, how to get your hands on a free Moleskine Sketch Album, and directions from mymoleskine.moleskine.com/community/citystories. Come along and say hello, and be ready to draw.